All of our clothing is made to order by our friends at Sprint Sports and Leisure. Order before Midnight on a Monday to have your order shipped by Friday. Show your support for Mountain rescue by wearing some of our awesome products. Not only will you look good, but you'll be happy knowing the profit we make from sales goes directly to support the work of Derby Mountain Rescue Team. Our principal area of operations extends from the southern Peak District to as far south as Milton Keynes, covering parts of Derbyshire, Leicestershire, Nottinghamshire and Staffordshire, but we can also be called to assist teams in other areas when needed. In the past, the team has attended incidents in areas as far afield as Wales and Scotland. 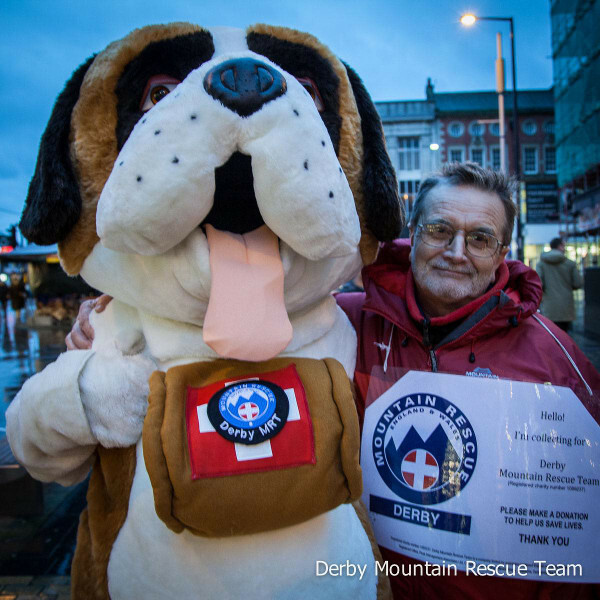 The Derby Mountain Rescue Team Supporters Group are people who enjoy the countryside and value the work and service provided by the Rescue Team and are keen to support us. Members of the Supporters Group play a growing part behind the scenes in the life of the team, and you can be as involved as much or as little as you like. From receiving our newsletter; displaying a car sticker; putting up a poster about a fundraising event, to planning and running your own fundraising event for the Team; giving talks or acting as a casualty in team exercises.